Tech Trekkers reunite to celebrate a successful culmination to their internship hunts which began with the memorable trek in December! Alexis Miller, Oma Nwab, Rikki Singh and Rose Zhou decide to look beyond analytical and challenge their motor skills with Jenga Sunday! 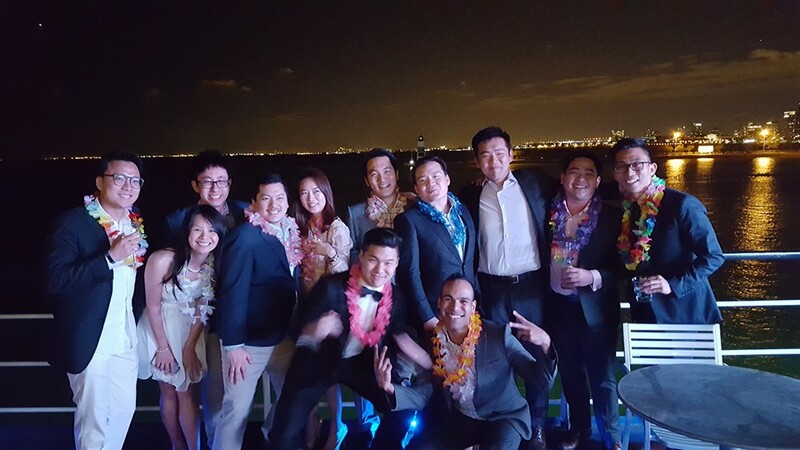 Boothies decide to celebrate spring in style- on a boat with colorful attires! Alex Sukhareva, Lex Zhao, Jose Perez and Justine Jang bring the floral theme to life during Spring Fling! Boothies took over Derby last weekend, with Booth Ladies putting their best “hat” forward! 05/09/16:Jon Stewart calls Trump a “Man Baby” during his interview at Rockefeller Chapel! 05/16/16-05/17/16: Booth celebrated Spirit Week with furore - activities included bike ride, kite flying and Booth Stories. Come pick up Booth Swag during lunch at the Harper Center! 05/14/16: The 31st DuSable Conference organized by the Chicago Booth African American MBA Association was a success on 5/14! 05/21/16: Booth Gives Back, the largest philanthropic event at Booth, will be happening on Saturday! 05/26/16: The Cohort Cup Olympics for Spring will be happening on 5/26 at North Beach. Bring those beach soccer skills on!